SAN DIEGO — A California couple who struggled with infertility told their friends and family they were pregnant with twins — but they were holding on to one last surprise. At the beginning of the gender reveal party, Desiree and Ryan Fortin asked their family and friends to guess the boy/girl combinations by drawing tally marks on a chalkboard. 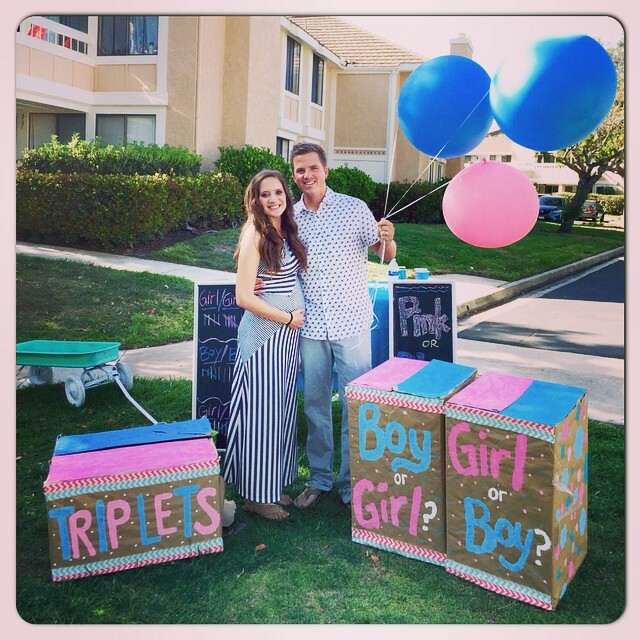 For the big moment, the couple brought out two sealed cardboard boxes to reveal the gender of their twins. The balloons in both boxes were blue, symbolizing twin baby boys. But then Ryan had one more surprise. “Well, that is awesome. I’m excited about two boys. But what if I told you… that you were all wrong. We’re actually having triplets!” Ryan exclaimed. A friend then wheeled out a third box labeled “TRIPLETS.” When the couple opened the box, pink balloons revealed they were also having a girl. Desiree documented their struggle to get pregnant on the blog Our Journey To Parenthood. After two unsuccessful attempts with Intrauterine Insemination, the couple became pregnant using In Vitro Fertilization (IVF).